Jesus Diaz at Gizmodo reminds us that new computer interface paradigms have regularly met resistance from the old guard—and become the new standard. Normal people don’t like today’s computers. Most loathe them because they can’t fully understand their absurd complexity and arcane conventions. That’s why the iPad will kill today’s computers, just like the latter killed computers running with punchcards and command lines. 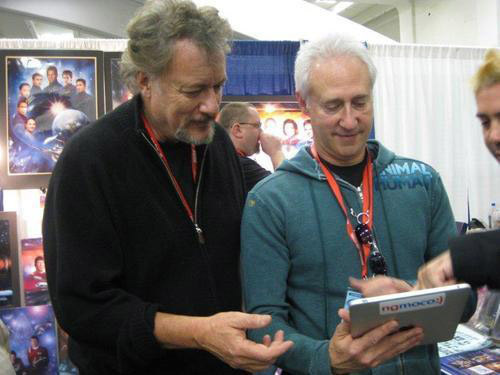 John DeLancie and Brent Spiner—Q and Data—play with an iPad. Dude.